Now that we have that out of the way, let's go ahead and establish what we're on about. This thread is dedicated exclusively to the review and commentary of the chess books that we read as a group. I know there are some titles that I would like to share. Hopefully, there are other good titles that others might want to recommend or damn to the ninth circle of chess book hell. That's a special hell created specifically for all of those ubiquitous "So you want to play chess" instruction books. The ones that give you the basic rules and leave you to it. So, go to it. Let the imagination upon 64-colored wood squares run unrestrained as we share the mountains and the valleys of chess literature. The first title I would like to discuss is this one. 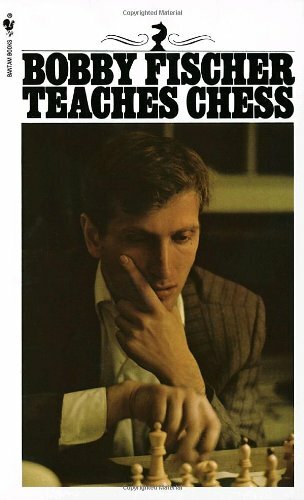 Bobby Fischer Teaches Chess is a Bantam mass trade paperback, which has been in circulation since 1966. The book touts itself as a program designed to instruct a player in chess so that by the end, your play will be on par with that of Bobby Fischer. The book itself is divided into two sections. The first is ye olde standard chess primer designed to give the uninitiated their first look at the game, covering basic rules and moves. The second section deals with learning combinations that will improve general chess techniques. Before I move on to the pith of this review, I would like to clarify a few things about this book. First of all, in spite of its title, Bobby Fischer is but one of three authors. According to an Amazon review, the authors only received permission to use Mr. Fischer's name. Second of all, the title to this book is a trifle misleading. While the book does explain the basic rules of chess in its first part, the second part pertains to teaching checkmating tactics. That's it. 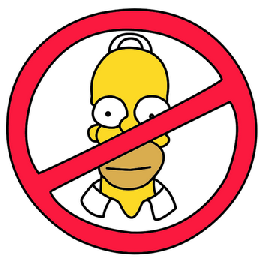 No openings, no middle game strategy. Nothing except for how to checkmate your friends. Now, that being said, this was far from being a poorly written book. The checkmate section consists of a teaching method approaching those of tactics program found online. On a single page, a diagram with a position is displayed. A question is asked at the bottom of the page. It is then up to the reader to figure out the answer and turn the page to see if the answer was the correct one. That process is repeated throughout the book reinforcing a few techniques for getting better checkmates. With that being said, there are massive online sites and programs that handle this book's basic function much better than 1960s in the absence of home computers. In today's world where billions of small chess positions can be held in great digital fortresses, this book seems very small indeed. The majority of the puzzles presented in the book were fairly basic. Even on my amateur level, I scored correct answers on nearly every problem presented even near the end where the difficulty was ramped up. I think the only real glimpses of the chess genius were a diagram from one of Fischer's games was presented. So, would I recommend this book? I would on the wise that it is a quick read and might provide a few insights into checkmating tactics. But the book is a mass trade paperback and is really designed for those that are newer to the game. And it makes some very large claims it is not able to back up. Bobby Fischer Teaches Chess is good for reading and discarding onto the thrift store pile. If it were up to me, I'd change the title from Bobby Fischer Teaches Chess to Bobby Fischer Mostly Teaches Chess Basics and Checkmating Tactics in a Few Select Passages. I would agree with your assessment. I bought this a while back at Barnes and Noble. I went through a few pages of the tactical puzzles and then gave up. Spending five minutes on Tactical Trainer would have given me a far greater chess education. This book recounts the run that Paul Morphy had during his brief chess career, beginning in the United States through the matches he played in England and the rest of the crowned chess heads of Europe. This book prefers a historical recounting of chess as it existed at that time rather than recount the details of the games themselves. The author, a sport's journalist by trade, followed Mr. Morphy on his travels and so gives a detailed and lengthy account his travels. The story starts with Mr. Morphy's debut in New York against one of the first organized chess tournaments in the United States. The narrative then moves to England with a history of chess in that country with Howard Staunton and others. From there, the story goes to France and recounts Morphy's play in Paris's famed Cafe de la Regence with players like Harrwitz, Mongridieu, and other French amateurs. The historical approach to the game and its players is what I most enjoyed about this book. For example, much of the text is devoted to the letters exchanged between its characters, which detail in elevated prose the lengths that were taken to set up engagements between players and to bring those players from locale to locale. The book also spend three entire chapters to Howard Staunton and the dodges he made to avoid playing Morphy. Finally, it highlights both of Morphy's blindfolded games where he bested ten or so opponents at once using only his mind as the chessboard. Quite the astonishing feat even by today's standards. It's fun to read the excuses provided by Mr. Staunton in his successful attempts to avoid having to play Morphy. I liked one of the British comments: if you're the world champion but refuse to play a contender, you are no longer the world champion. if you're the world champion but refuse to play a contender, you are no longer the world champion. I heartily agree. I don't care if the man has an entire line of chess pieces named after him. If you can't stand up and defend your title, then you should probably, "Go to bed, old man!" I'm a little behind on these, so here we go. Chess Master vs. 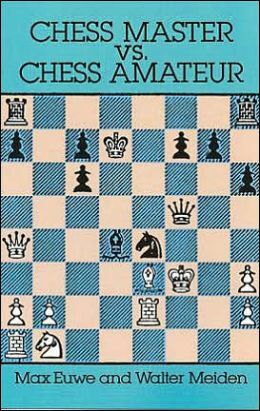 Chess Amateur is a text written by chess master Max Euwe and author Walter Meiden. As the title suggests, it is a compilation of 25 chess matches starting with the level of beginner to more experienced levels of play. The games are designed with the intent of showing common mistakes made by amateurs with the intent of avoiding them during play. The games are varied in their aim: each details numerous chess openings with branches explaining where one move would lead against another. Speaking of game branches, this book does not skimp on those. There is one chapter in particular where the authors are forced to come up with a table to clearly illustrate the outcomes of a single match alone. Each chapter also delivers valuable tips and advice designed to help amateurs improve their game. Of all the chess books I've read thus far, this in my opinion is one of the best and most instructive books of the bunch. Most amateur books fall flat is in the way they teach how to play chess. In other words, they concentrate on the basics and leave the rest to personal imagination without explaining the details of the errors. The problem with this approach is that such books never tackle the issue of correcting problems amateurs make time and time again over the table. Mr. Euwe's corrects this problem head on by pointing out problems through gameplay and then giving suggestions on how to avoid making serious blunders. Advice is also given on recognizing good chess positions, fighting for the center and prime squares, and setting up for good endgames. And this is only the beginning of the wealth of information found therein. I would recommend this book as an addition to any chess library; chess players from a wide range of playing styles will benefit from reading it. Overall, this is a good book that accomplishes exactly what it intends to. Grandmaster meets Chess Amateur, is a collaborative book written by snooker champion Steve Davis and English Grandmaster David Norwood. The book tells the story of Davis and his journey of rediscovering the game. In his childhood, Davis played games of chess with his father and then spent years without seeing a board. It is after many years that Davis creates a friendship with grandmaster Norwood who gets him back into playing the game. The book's chapters follow his progress, starts with some mock games designed to gauge basic ability with the grandmaster and culminates with Davis's first attempt at a local chess tournament. The narrative of the book is more like a conversation between the two gentlemen. During play, Steve talks about why he made certain moves or his feelings and thoughts while playing through various situations. Then the grandmaster takes over, commenting on what the amateur does as either positively or negatively affecting outcome of the game or puzzle. In this way, the book takes the approach of instruction through dialogue rather than direct narration. The effect is informal but still very instructive for learners wishing to improve their game. The journey takes one through a typical voyage exploring ideas on chess openings, endgames, tactics, tournaments, and playing people vs. computers. Unlike the previous entry, this book takes a more standard approach to chess instruction, but I enjoyed it nontheless. Much like Euwe, Norwood has a wealth of helpful information, which makes this book good for reference material. My only real complaint about the book is its length. Just as I was settling into the story, it ended. I also hoped they might have included a bibliography or suggestions for further reading at the end but that didn't make the final cut I suppose. This book still gets my recommendation. It scores a 5/5 so far as I'm concerned. Very good reviews. Do you have a fetish with amateur v master games? And have you put these reviews anywhere else? I think that they would be a good addition to Amazon, for example. Thank you. The reason I purchased these books is because I consider myself a casual amateur player of the game and the idea of learning from a master sounded appealing. "Gather at the foot of the master, student." And I was not disappointed. I learned quite a bit about the importance of combinations, tactics, strategy, and recognizing patterns while playing the game. As of yet, I have not submitted these reviews anywhere else other than here. I suppose I could copy and paste them onto Amazon. I've been meaning to do that for a while.